A common knee injury — an anterior cruciate ligament (ACL) tear — has steadily increased among 6- to 18-year-olds in the United States, rising more than 2 percent a year over the last two decades, researchers report. These injuries peak in high school, said lead researcher Dr. Nicholas Beck. Girls have a higher rate of ACL injuries, added Beck, an orthopedic surgery resident at the University of Minnesota. Study co-author Dr. Marc Tompkins said the researchers didn’t look at why ACL tears are on the rise. But, he said, “one potential cause is the year-round sports specialization that is occurring in kids at an earlier age.” Tompkins is an assistant professor of orthopedic surgery at the University of Minnesota. Instead of getting cross-training from multiple sports and therefore using different muscle groups, this means the kids do the same thing over and over. This can lead to fatigue and an increased potential for injury, including ACL injury, Tompkins explained. More girls are playing sports, which could affect injury rates, the study authors said. And it’s also possible that rates are up “because we are getting better as a medical community at diagnosing ACL injury,” Tompkins suggested. 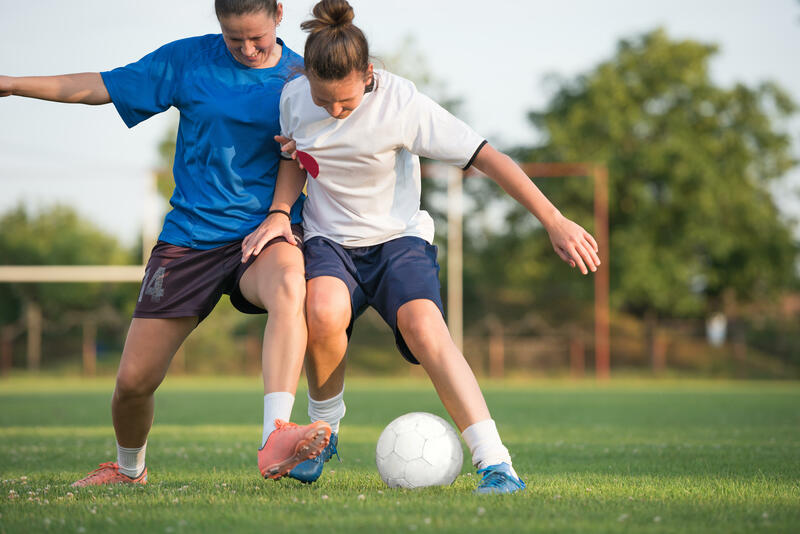 Beck hopes this study will increase awareness of ACL tears in young athletes and promote interest in prevention programs or developing athletic participation guidelines. The anterior cruciate ligament sits in the center of the front of the knee. It’s one of the ligaments that holds the knee bones together. When it tears, the ligament splits into two, causing knee instability, according to the American Academy of Orthopaedic Surgeons. When a tear occurs, you might hear a popping sound and your knee may give out from under you. Depending on the severity of the injury, treatment can range from physical therapy to surgery. “ACL injuries are serious in the short term because they generally require six months’ to a year’s worth of hard recovery work before going back to sports. And even then it often takes longer to get back to pre-injury function,” Tompkins said. “ACL injuries are serious in the long term, too, because we know that even if they recover well with or without surgery, the risk of developing arthritis in the injured knee is higher than before the injury,” he added. “We have developed an injury prevention program, and we try to reduce the rates of ACL injuries,” Swirsky said. When ACL tears do happen, Swirsky said, he recommends a comprehensive rehab program after surgery. This is accompanied by advice for reducing the risk of injury when young patients return to play. To study the trends in ACL tears among U.S. children and teens, the study authors used insurance billing data for patients aged 6 to 18 from 1994 to 2013.